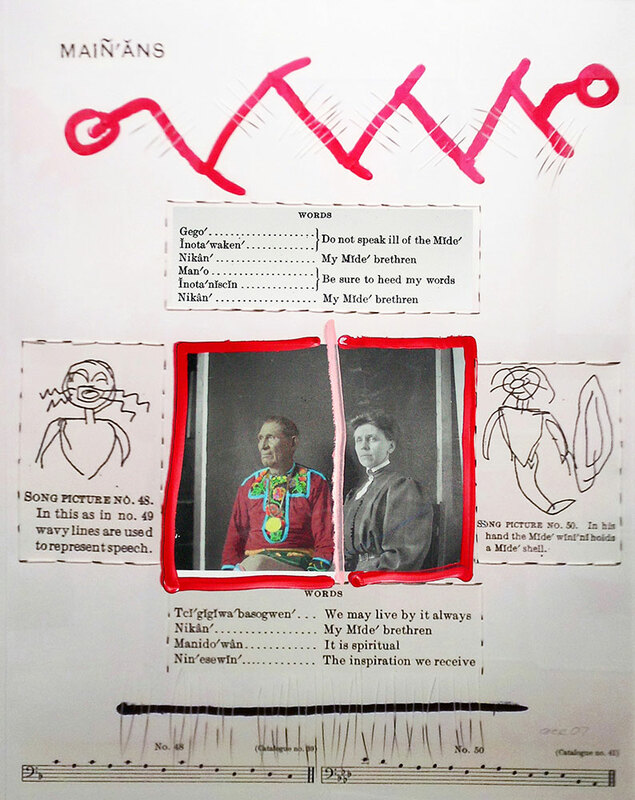 Maungwadaus (2012) 56 x 76 cm, mixed media on paper. 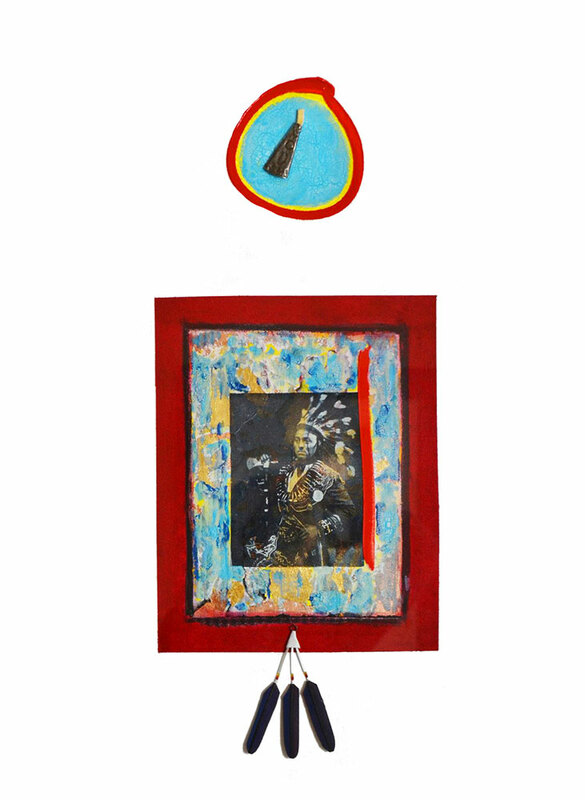 The Great Hero (2012) 56 x 76 cm, mixed media on paper. 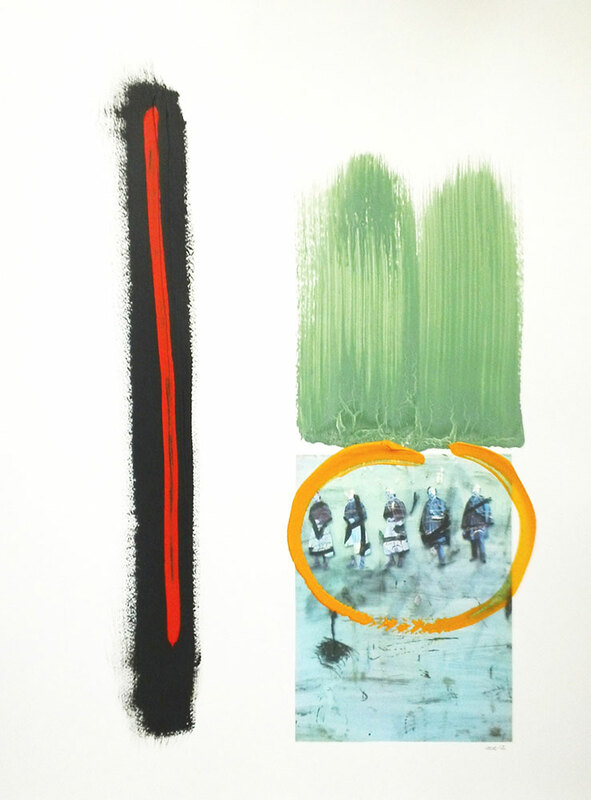 Urban and Rural Tagging (2012) 56 x 76 cm, mixed media on paper. 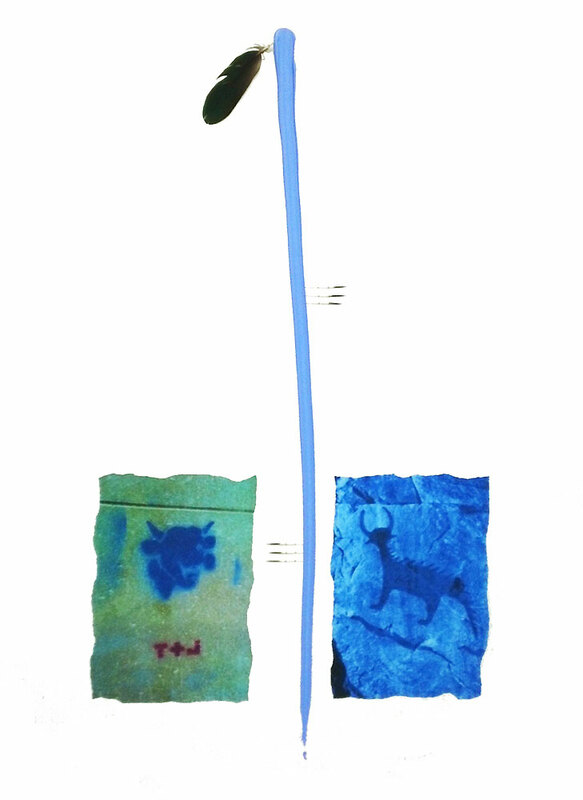 Transformation (2012) 56 cm x 76 cm, mixed media on paper. 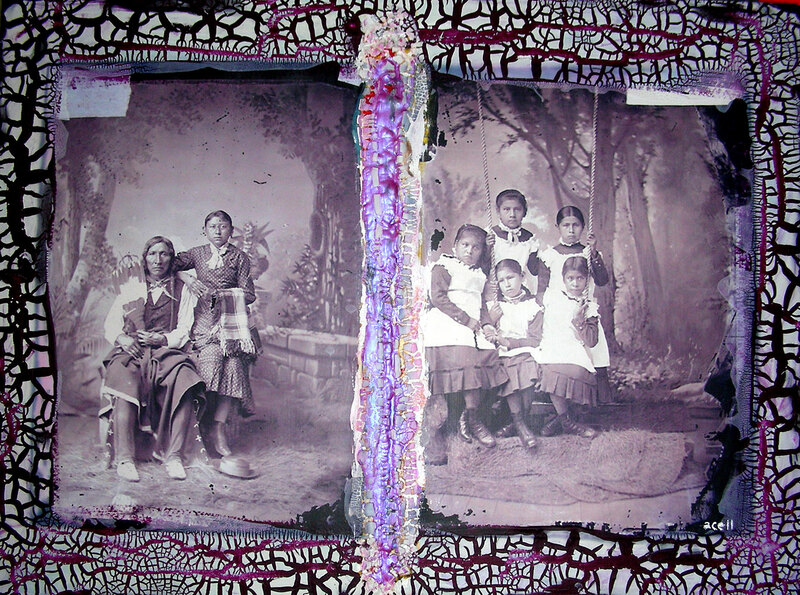 Colonization (2012) 56 x 72 cm, mixed media. Assance (2012) 56 x 76 cm, mixed media on paper. 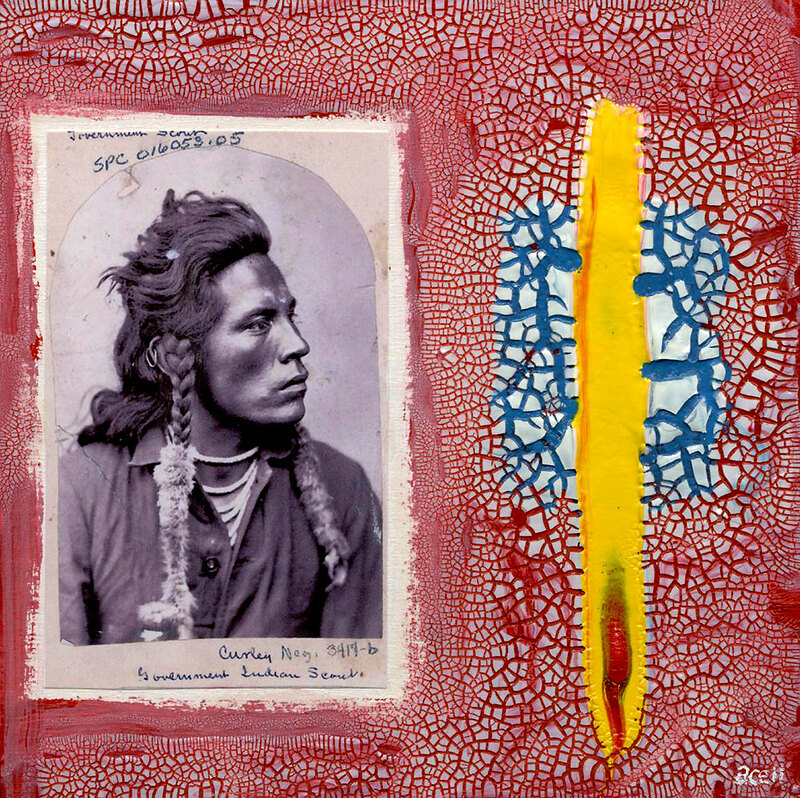 Warrior (2012) 30 x 25 cm, mixed media on board. 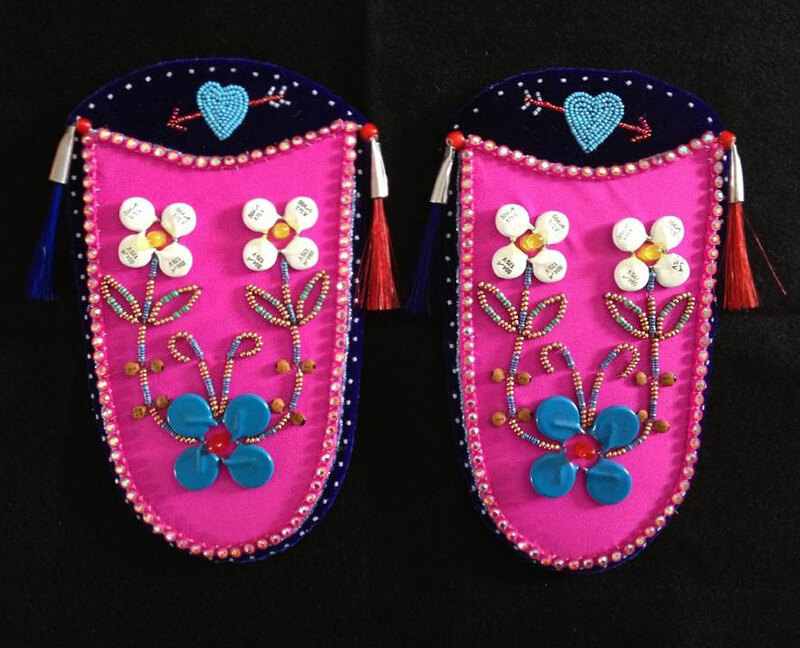 Missing (Moccasin Vamps) (2012) 10 x 12 cm x (2), mixed media. 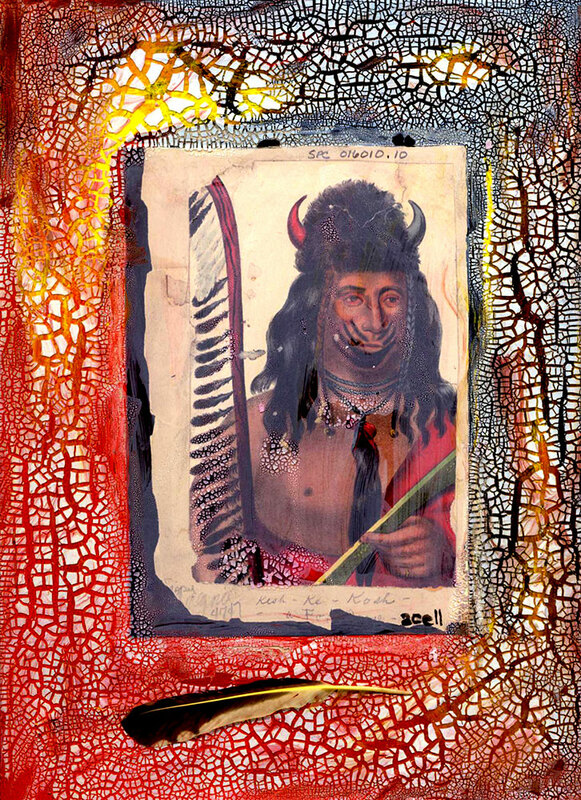 Bloodline (2011) 30 x 30 cm, mixed media on board. 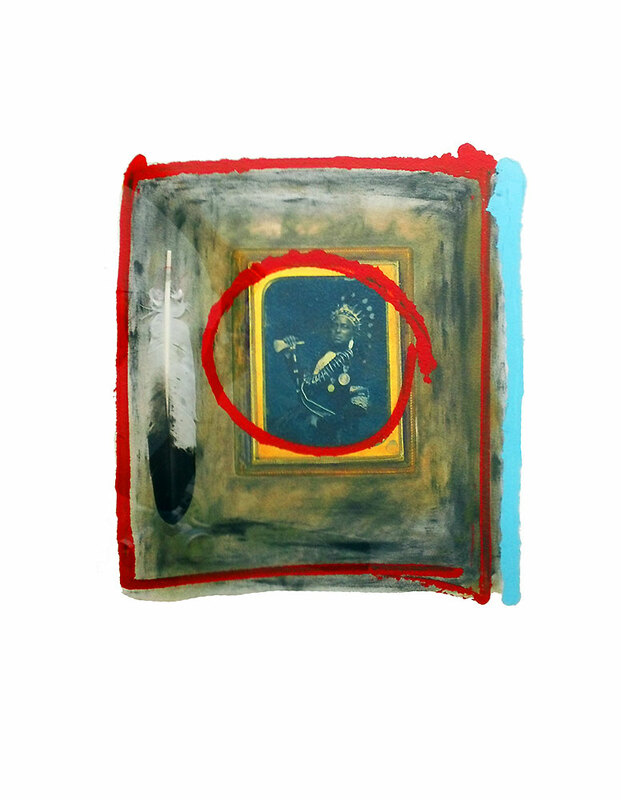 Scout (2011) 20 x 20 cm, mixed media on board. 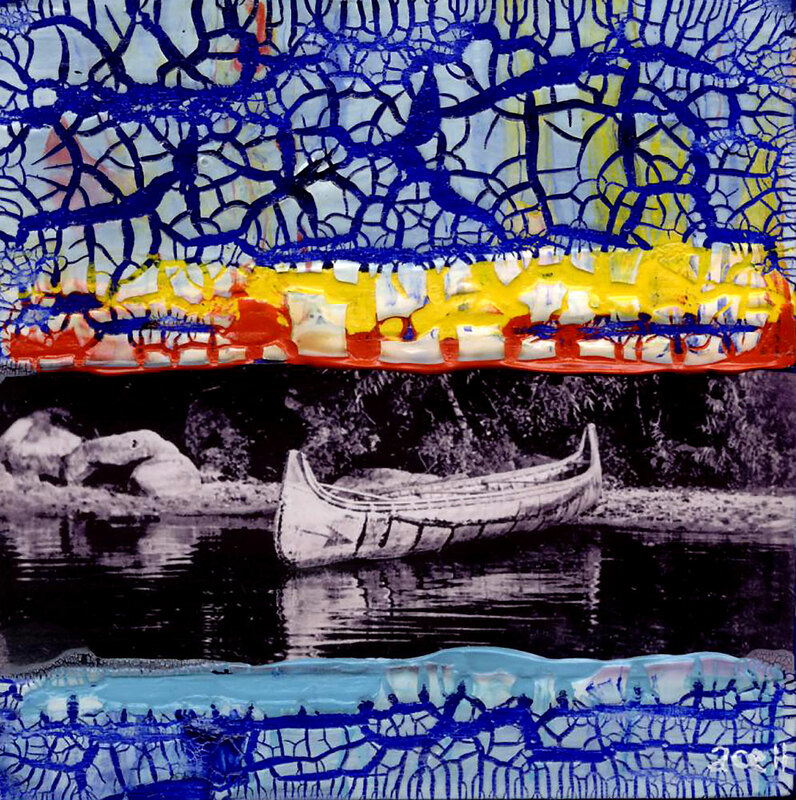 Kishekosh (2011) 20 x 25 cm, mixed media on board. 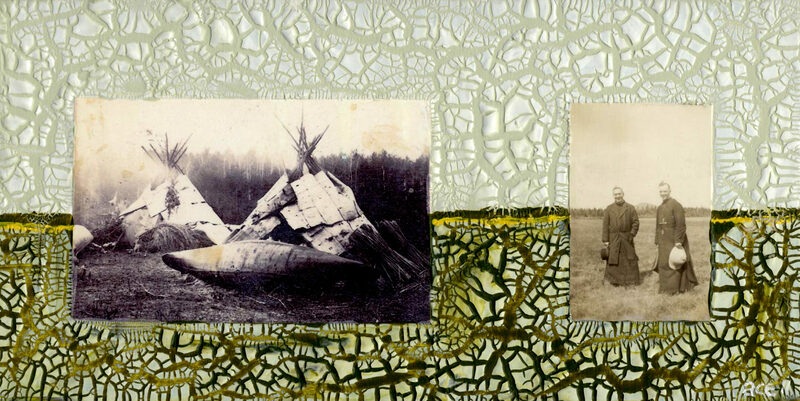 Osage 2 (2011) 8 in x 8 in, mixed on board. 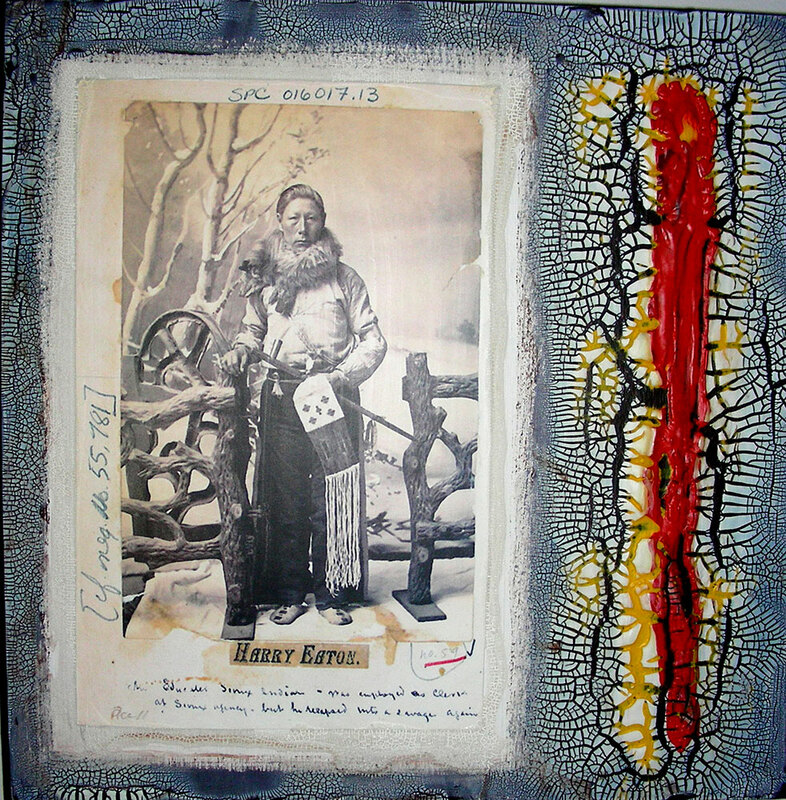 Journey (2011) 15 x 15 cm, mixed media on board. 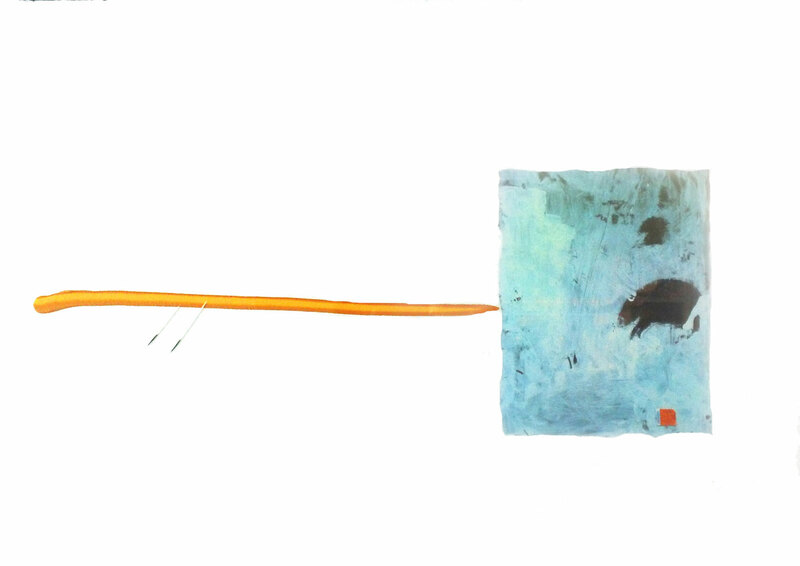 Presence And Absence (2011) 30 x 15 cm, mixed on board. 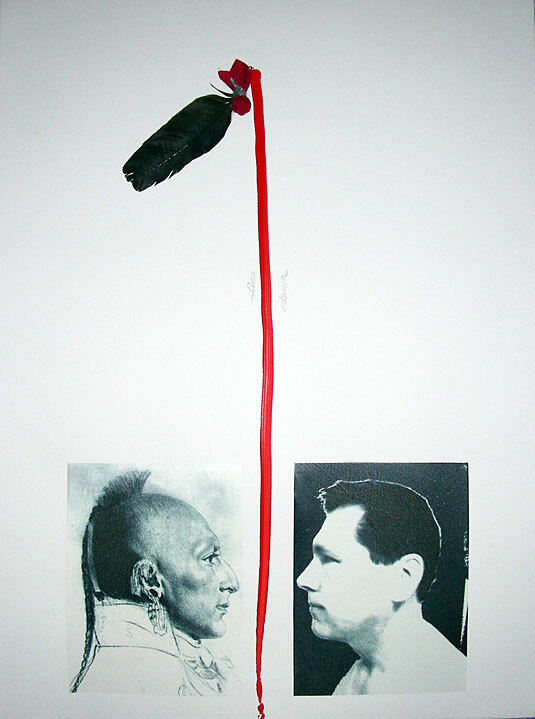 The Dividing Line (2011) 30 x 40 cm, mixed media on board. Cosmic (2011) 55 x 25 cm, mixed media on board. 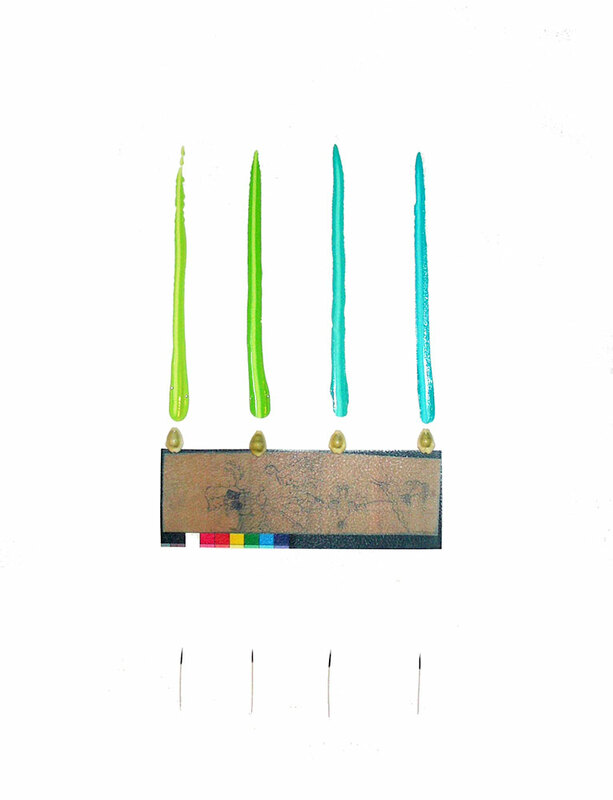 Power (2011) 30 x 15 cm, mixed media on board. 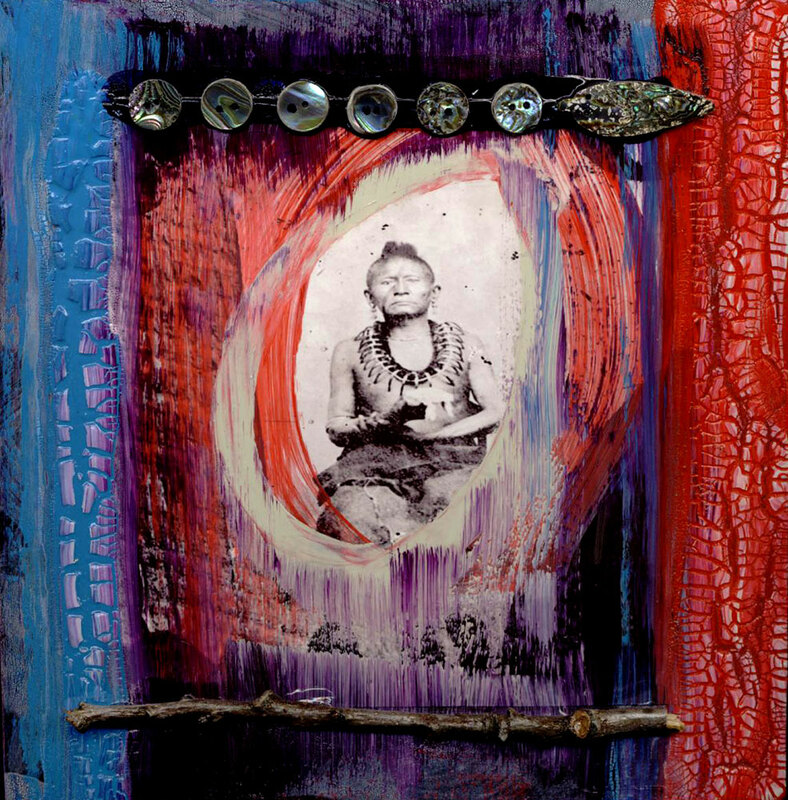 Embody (2011) 30 x 22 cm, mixed media on board. 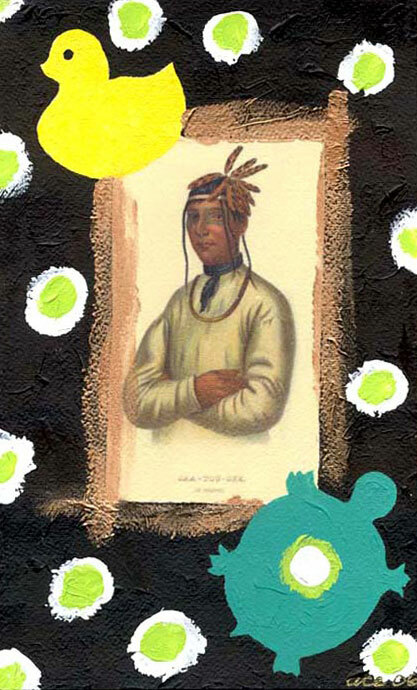 Moccasins (2011) 30 x 15 cm, mixed media on board. 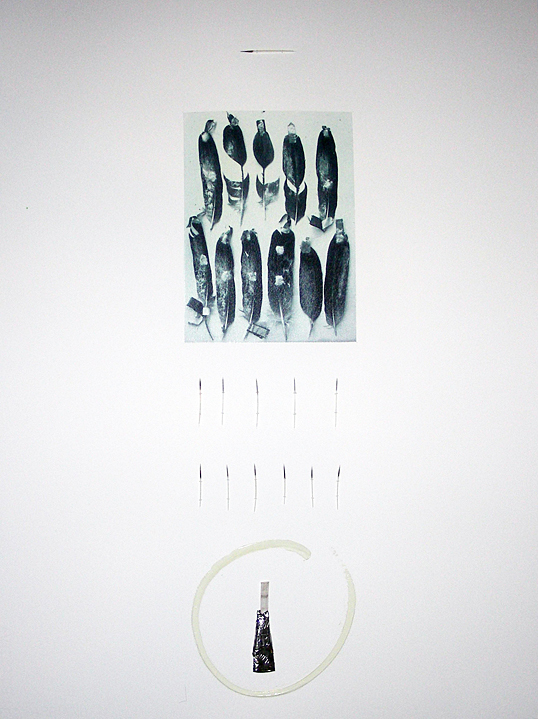 Sign (2011) 56 x 76 cm, mixed media on paper. 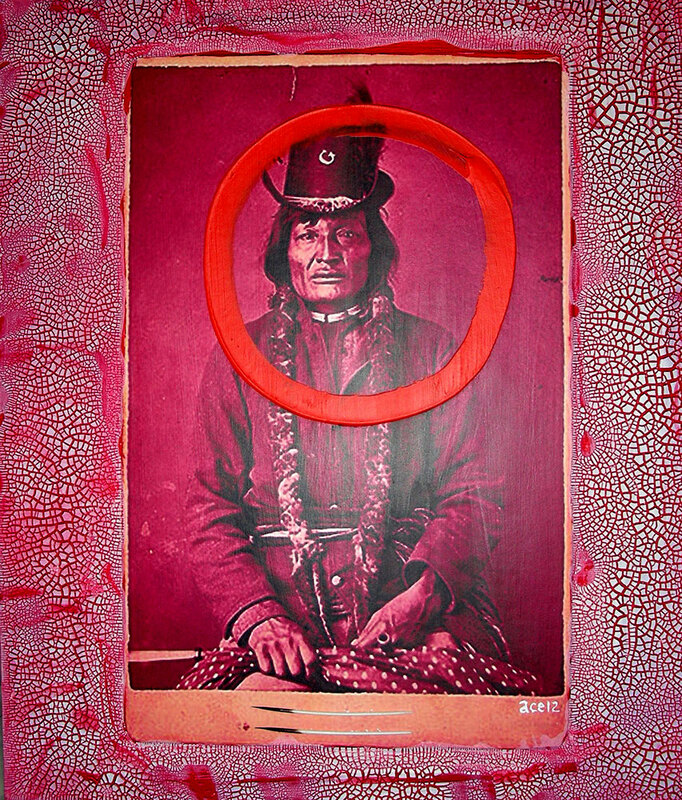 Odawa/Osage (2009) 56cm x 76cm, mixed media. 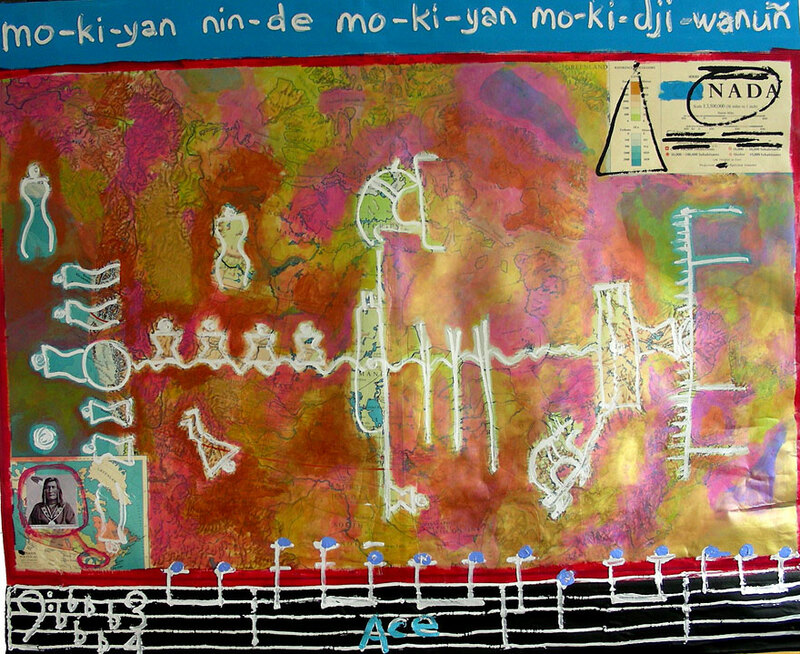 Anishinabek in the Hood (2007) 147.3cm x 127cm, acrylic on a screen. 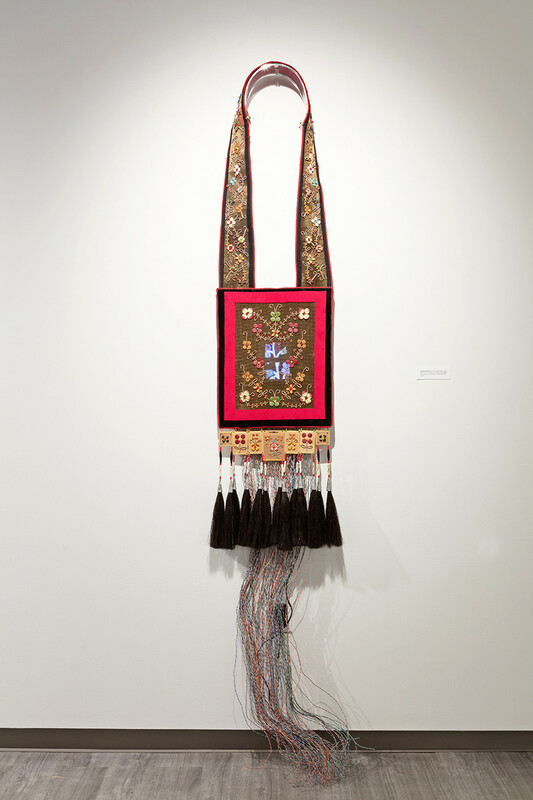 Midewiwin (2007) 147.3cm x 182.9cm, acrylic on a screen. 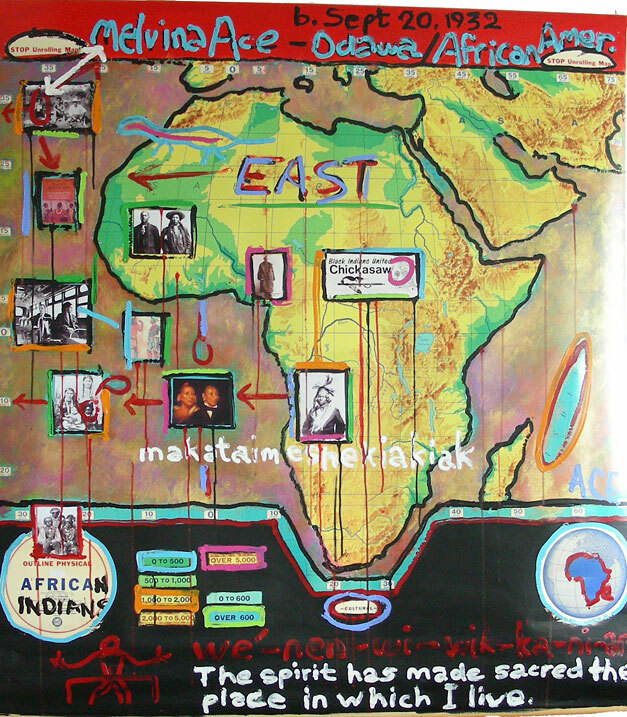 The Spirit Has Made Sacred The Place In Which I Live (2007) 129.5cm x 154.2cm, acrylic on a screen. 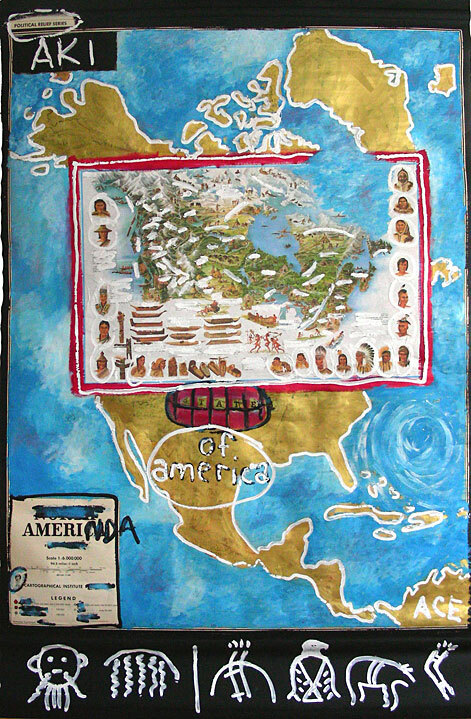 State of America (2007) 127cm x 177.8cm, acrylic on a screen. 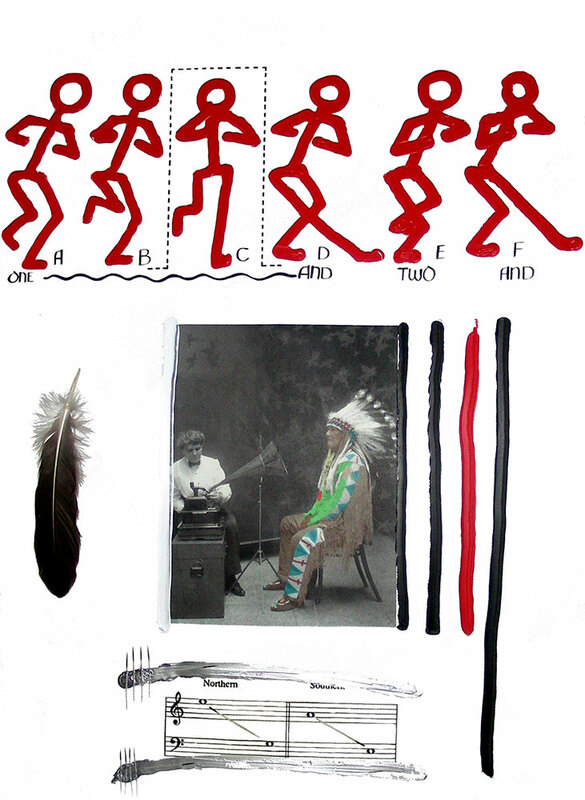 Let’s Dance (2007) 56 x 76 cm, mixed media on paper. 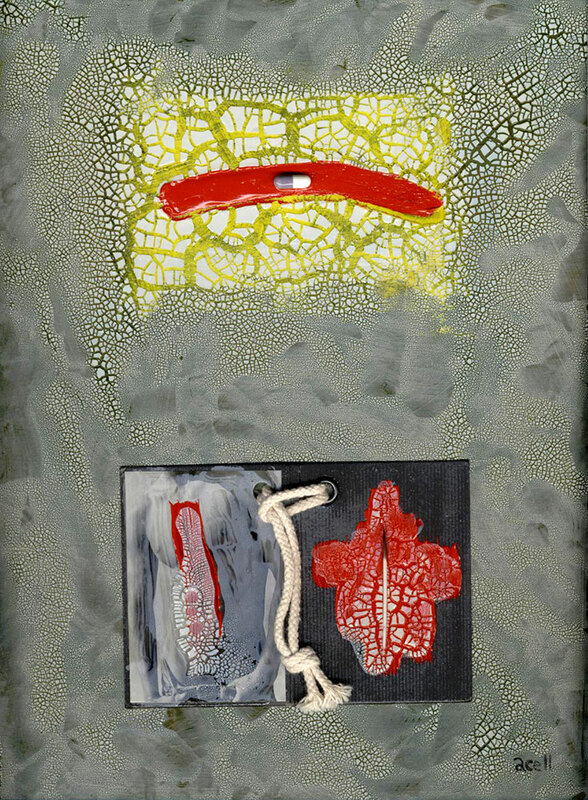 Two Kinds of Medicine (2007) 56cm x 76cm, mixed media. 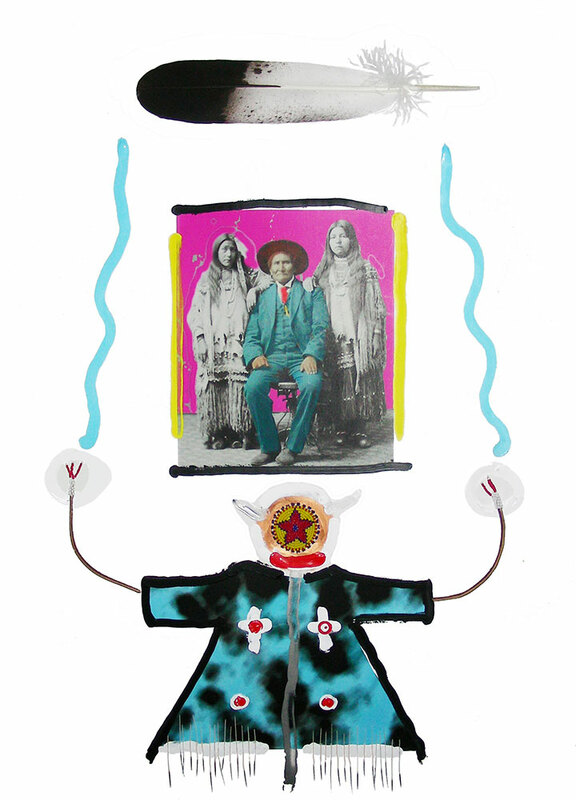 Sitting Bull (2007) 56 x 76 cm, mixed media on paper. 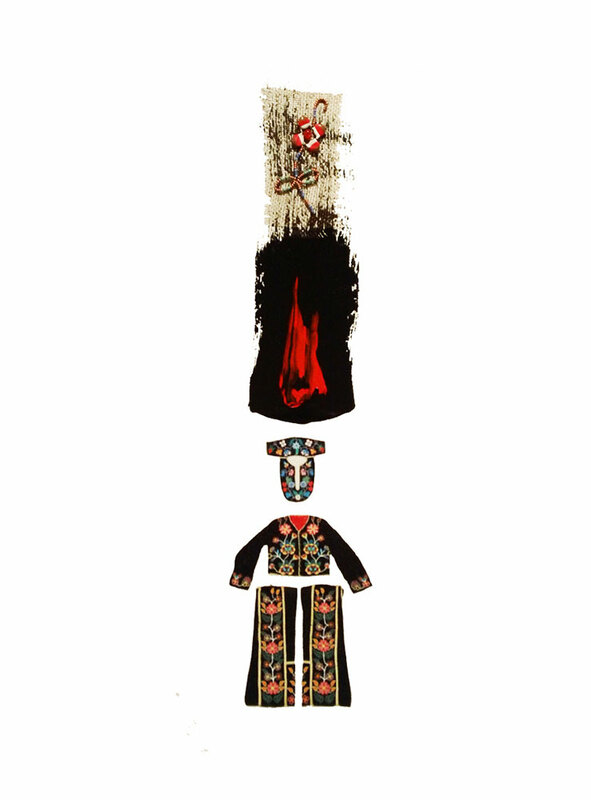 Megis (2007) 56 x 76 cm, mixed media on paper. 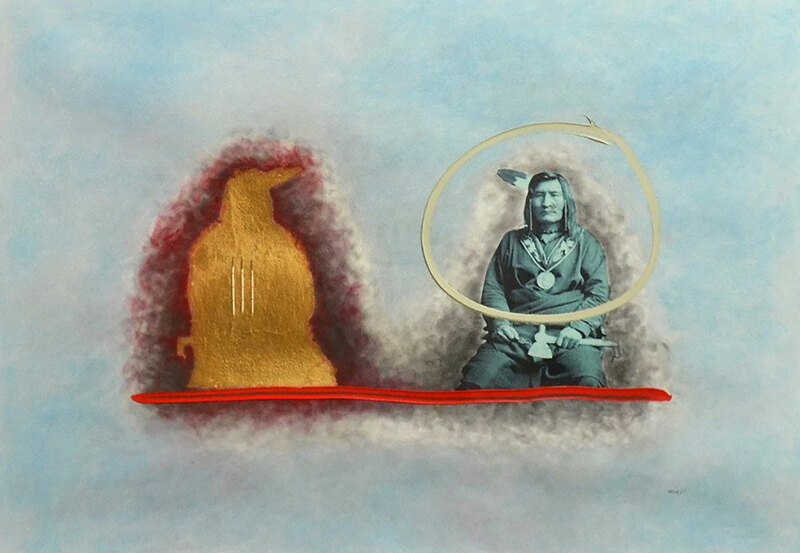 Geronimo (2007) 56 cm x 76 cm, mixed media on paper. 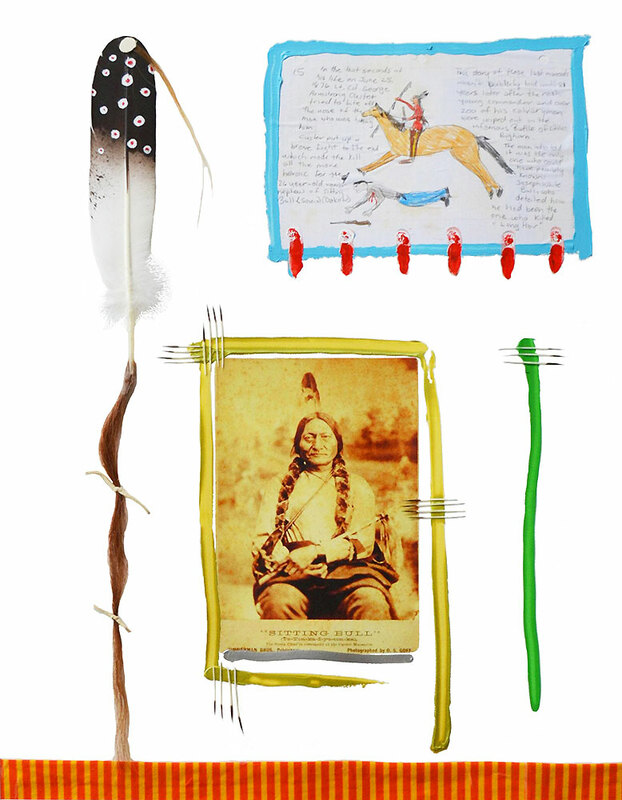 Midewiwin (2007) 56 cm x 76 cm, mixed media on paper. 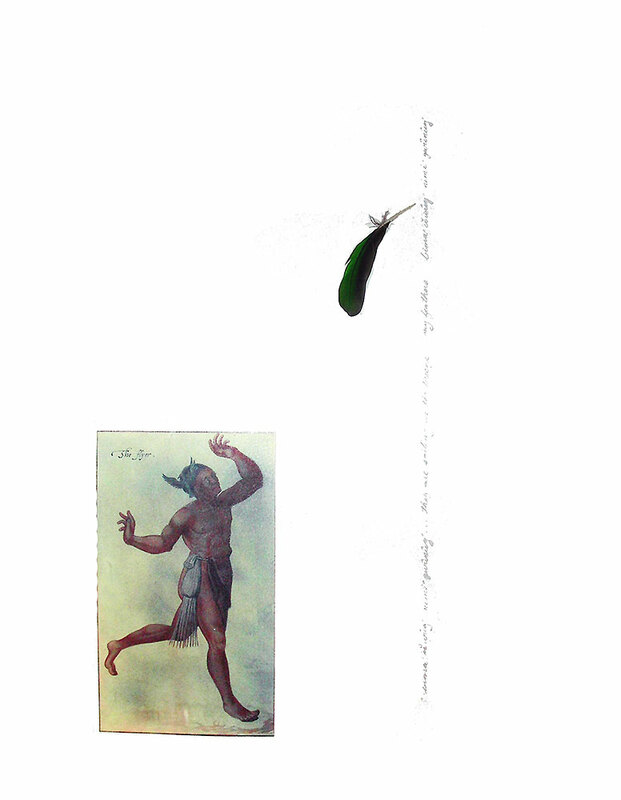 They Are Sailing Away On The Breeze (2007) 56 x 76 cm, mixed media on paper. 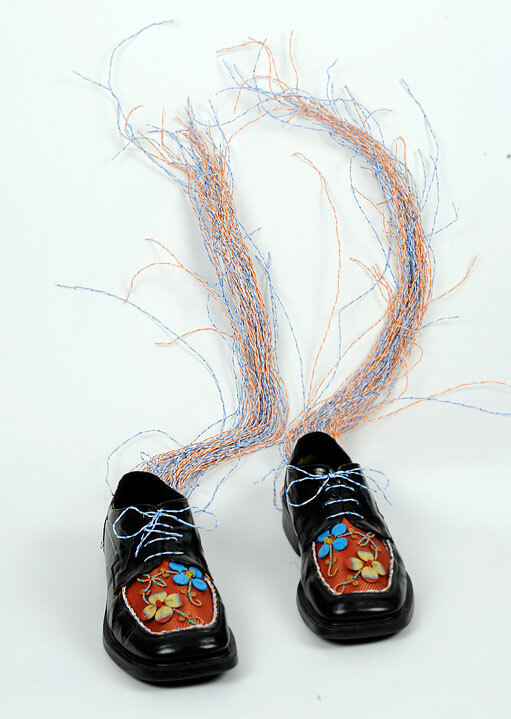 Reaction (2006) 2 x 7.6 x 6.7 x 66 cm, mixed media. 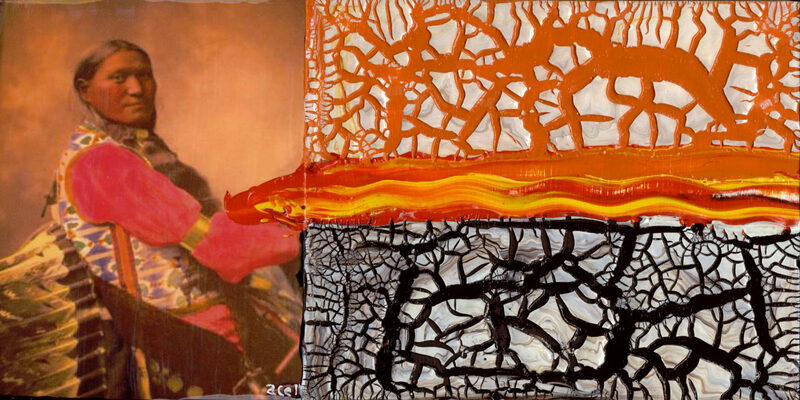 Dodem (2006) 15 x 25 cm, mixed media on paper. 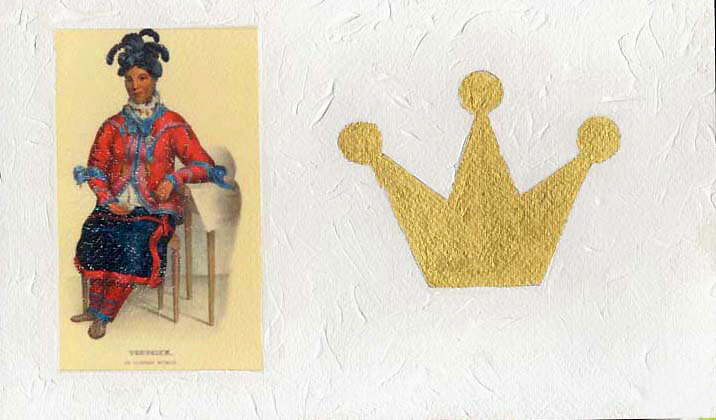 Crown (2006) 15 x 25 cm, mixed media on paper. 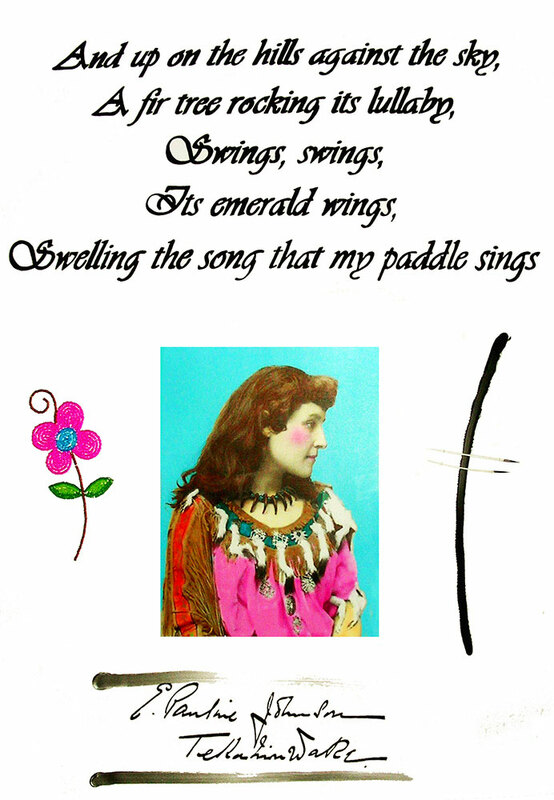 E. Pauline Johnson (2006) 56 x 76 cm, mixed media on paper. 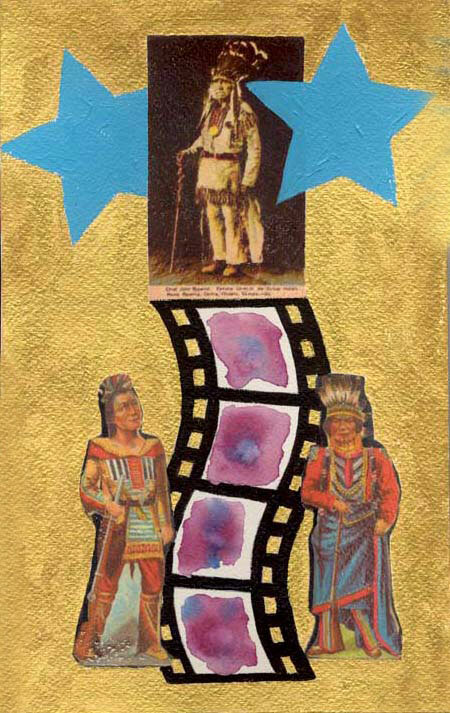 Star (2006) 6in X 10in, mixed media on paper.